Welcome to the Municipality of Kythnos! Kythnos, the island of simplicity and hospitality, will lead you to Cycladic paths, to whitewashed settlements, to the beautiful villages of Hora and Dryopida and to 99 beaches that will make you quickly realize that you are on a terrestrial paradise. 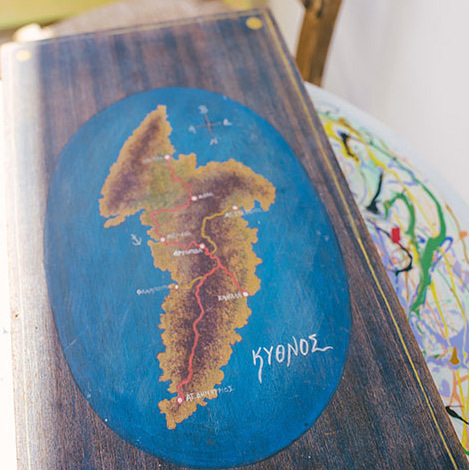 Kythnos took its name from the mythical son of Apollo and leader of Dryopoi – who arrived from Evia in Kythnos in the 14th century BC – Kythnos. The oldest name of Kythnos is “Therma”. This name took it from the famous thermal springs located in the picturesque settlement of Loutra. The icon of Panagia Kanala was painted by the priest Emmanuel Skordilis in the 17th century and is an excellent work of the Cretan School. The inhabitants of the island visited the Katafyki Cave during the pirates’ raids. Almost 130 chapels are built on hills and beaches all over the island. Kythnos is a Cycladic island between Kea and Serifos. It is 3 hours from the port of Piraeus and just 1 hour and 40 minutes from the port of Lavrion. It administratively belongs to the South Aegean region and since the 12th century it is also known as “Therma”. This name is due to the hot springs that exist up to today in the bay of Loutra. The baths of Kythnos were enjoyed by King Othon and Queen Amalia (1837-1862). Kythnos has an area of ​​99.3 square kilometers, a population of 1310 (according to the 2009 census) and a coastline of about 104 kilometers, with 92 coves, coves and beaches, most of which are accessible by road. There are two mainland villages on the island, Chora or Mesaria and Dryopida or Sullaka. There are also three main seaside settlements: Merichas-the main port-, the Baths with thermal springs and Panagia Kanala with the church of the same name. Kythnos has daily connections with Piraeus and Lavrion port.